Most offices today feature more open spaces and smaller, and often shared, workstations. Less sound absorptive materials are being used such as lower or non-existent partitions, hard or glass surfaces, and thinner walls and doors. This creates acoustical challenges that negatively impact workplace satisfaction, productivity, confidentiality and speech privacy. Soundmasking is an affordable and effective solution to help organizations, across multiple industries, protect speech privacy and reduce distractions of nearby conversations and other noises. Sound Masking works by emitting a uniform, barely perceptible background sound to virtually any workspace, the unobtrusive, air-flow like sound has been engineered. Cambridge Sound Management wrote a wonderful Case Study on our Sound Masking installation at Highwinds. 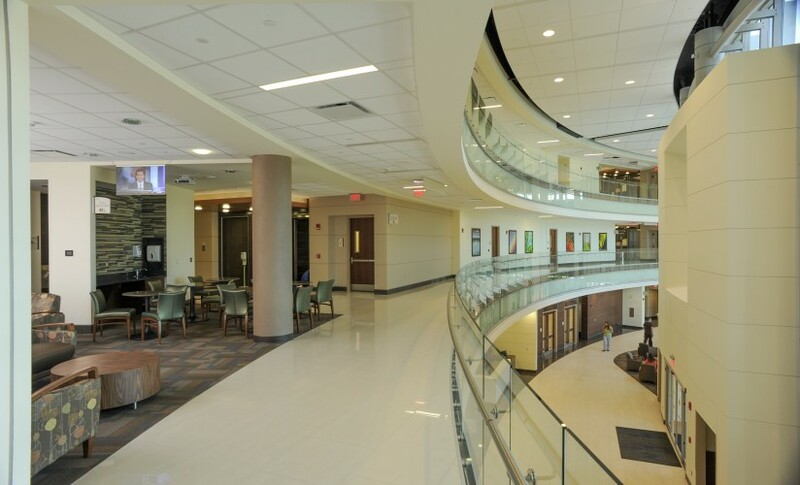 Cambridge Sound Managment featured our install at Florida Hospital Wesley Chapel in a Case Study.